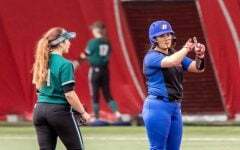 DePaul sophomore infielder Maranda Guiterrez hits her second home run of against Providence on Saturday. 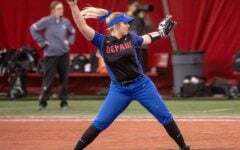 The Blue Demons won both games on Saturday 8-0 and 8-2. 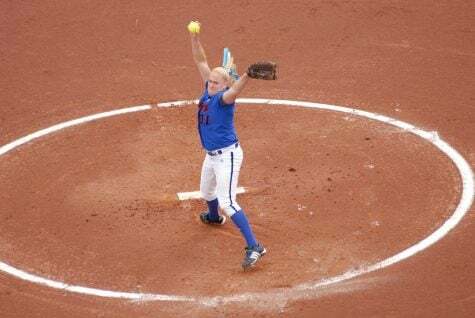 Junior pitcher Krista Dalgarn dominated out of the gates and her team backed the pitcher up by scoring eight runs to win the front-half of the double-header 8-0. The junior pitcher threw a gem, allowing three hits and no runs to improve to 12-4 on the season. The Blue Demons couldn’t have gotten off to a better start against the Friars. Maranda Gutierrez started things off with a solo home run to dead center field to give DePaul a 1-0 lead. Sophomore Kate Polucha then sent another one over the left field wall to give the Blue Demons a 2-0 lead after one inning of play at Cacciatore Stadium. After that, the pitchers dueled until the bottom of the fifth inning when DePaul’s bats started to heat up and Providence’s pitchers had issues with their control. The inning started with a bunt to get on base by sophomore Skyler Hilger, who scored on a double steal attempt and an error by the Providence infield which allowed right-fielder Erin Andris to get to third. She then made her way home after an infield single by Gutierrez. Polucha came up and hit a sacrifice fly to make it 5-0. Centerfielder Angela Scalzitti was then hit by a pitch which allowed another run to score because of the bases being loaded. Hilger walked to score Morgan Greenwood and the inning finally came to an end for Providence. 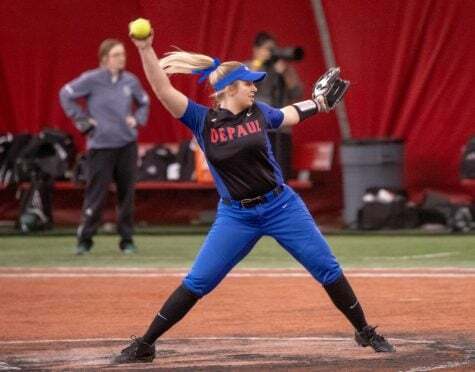 DePaul finished off the job in the bottom of the sixth with Jessica Cothern hitting a rocket to dead center field and end the game because of the eight-run rule. 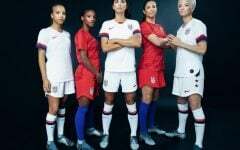 “I think the biggest thing was just staying together and making sure she was doing her mechanics and just driving through me the whole game,” Cothern said when speaking on Dalgarn’s shutout performance. 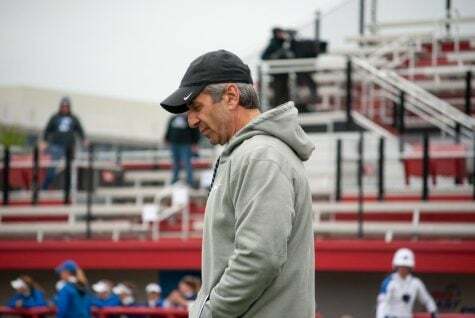 “I think she did a really good job of working with me and it was a real team effort today.” With the win, Dalgarn improved to 12-4 on the season. In the second game of the doubleheader, Blue Demons pitcher Natalie Halvorson got into some trouble in the top of the first inning, with the Friars getting on second and third with no outs. She then got a pop-out and a strikeout before Providence’s center fielder Mackensie Compton singled over Greenwood’s head at first base to score two runs. Halvorson then had to pitch around a lead-off single from the Friars in the top of the second and a brilliant double-play helped her eliminate the threat. 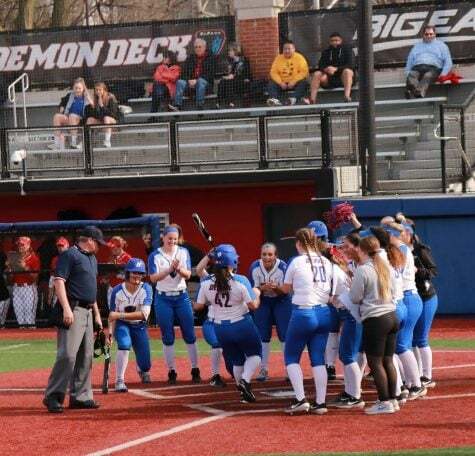 The Blue Demons got their bats going in the second inning with a leadoff single from Scalzitti, who was brought home by a crushing home run from third baseman Alysia Rodriguez, which was her first of the season. 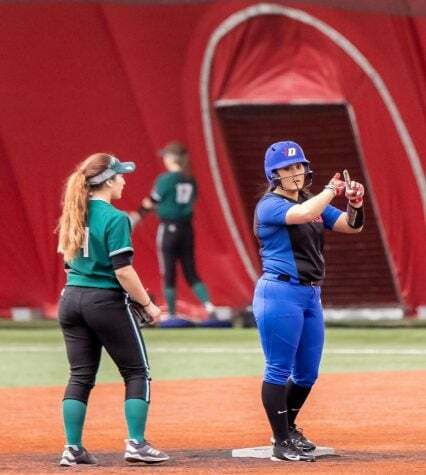 Gutierrez then continued her stellar day at the plate by hitting a massive homer off the right field scoreboard which gave DePaul a 3-2 lead at the end of two innings. 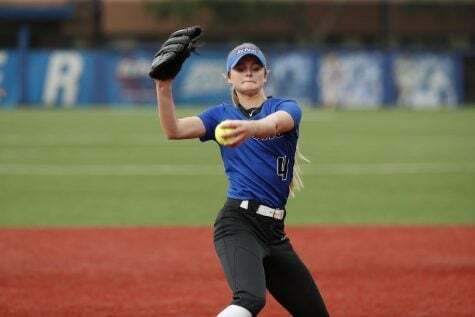 DePaul made a trio of skilled catches in the outfield in the top of the fourth inning, one by Scalzitti and two by right fielder Erin Ambris. 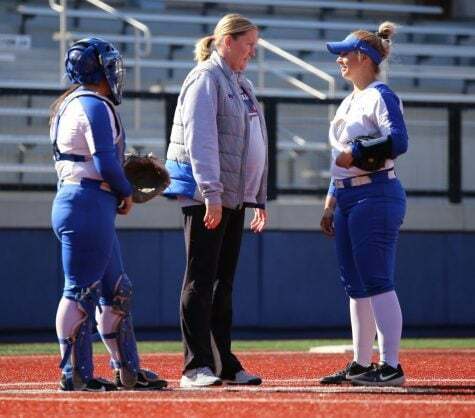 In the bottom of the inning, DePaul’s bats were clicking once again as Hilger connected on the first pitch of her at-bat and a groundout from Rodriguez brought her home. Gutierrez singled and then scored on catcher Cothern’s double. Morgan Greenwood concluded the inning with a single to center, that scored pinch-runner Madison Fisher, and extended the Blue Demons lead to 6-2. 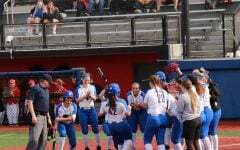 DePaul added two more insurance runs when Cothern hit a monster home run that also scored Rodriguez and gave the Blue Demons a six run lead going into the last inning of the game. 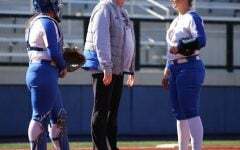 “We focused a lot on just staying through the ball and hitting it opposite field,” Cothern said. Halvorson was able to end the game strongly with five straight strikeouts and a short bloop out to first base that secured the six run win. She now has a 16-5 record in 21 starts. The third game of the series scheduled for Sunday at noon was cancelled due to inclement weather. DePaul have won 20 straight games against Providence and sit one game behing St. John’s in the conference standings. 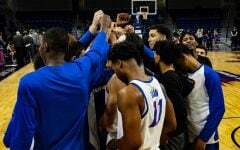 The Blue Demons are now 28-9 overall and 8-1 in Big East play before they face Illinois State at home on Tuesday afternoon. 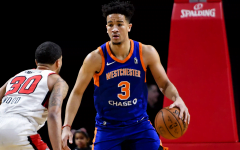 After that DePaul will travel to Queens, New York to face St. John’s in a vital three game series that can decide the top spot in the standings going into the Big East Tournament.